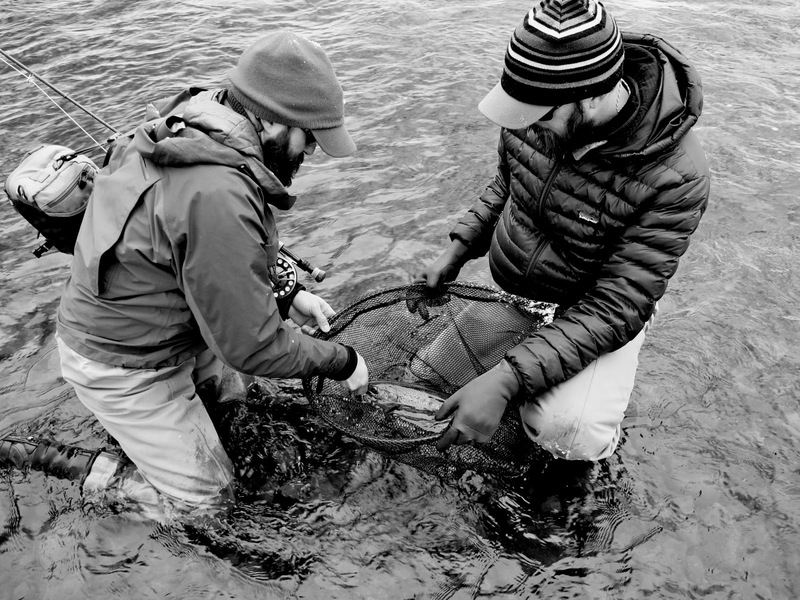 I had a chance to share some photos via the focalFISH photo blog run the by Mark Raisler and John Arnold, the honchos at Headhunters Fly Shop in Craig, Montana. focal is a great place to take in some fishy imagery, especially in the dead of winter here in Maine. Frankly, it's a little humbling to have some of my images up there with folks who actually have talent. The first photo essay I submitted was all about Maine landlocks, and features water from around the state, and admittedly, one fish from Massachusetts. More recently I submitted a piece in black and white from a steelhead trip last season. The black and white worked, especially since it was the dead of winter and there was no real color to capture anyway. The land lock essay can be found here and the steelhead essay can be found here. If you ever have a chance to visit Craig, MT and fish the Mighty Mo', do it. It's an amazing place and will likely leave you shaking your head wondering if what just went down was for real as your whole trout fishing schema makes a radical shift. If you find yourself there, don't forget to visit the Headhunters and buy a fly or two.